Looking for a great treat for someone special? How about Cheryl’s Cookie Card! 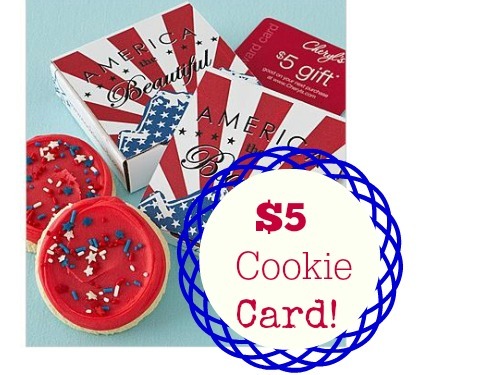 You can choose from a huge selection of cookie cards for all kinds of occasions, and they can be delivered for $5 shipped. Each care includes an individually wrapped cookie tucked inside a gift box and a $5 Reward Card to use on a future purchase, so it really is a great deal. Check out their huge selections of cards and make someone’s day. Off valid for a limited time. Shipping is FREE with coupon code.